All-out warfare between Sky and versus BT. Who's first for the early bath? 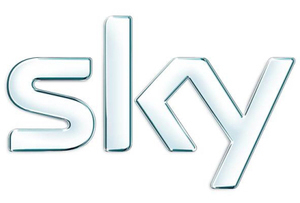 Editor's blog: All-out warfare between Sky and versus BT. Who's first for the early bath? Telecoms giant BT is fighting a £738 million Premier League battle against Sky. Prepare for all-out war. For a company throwing off vast profits of getting on for a billion pounds a year, BSkyB should be surprised that it has taken until now for a rival to put some serious armour on its lawn. Previous minor assaults, including an earlier BT foray, have been swatted away and crushed with barely concealed contempt. In a tightly regulated market like TV successful incumbents can appear near impregnable. Way back in the good old days an ITV franchise was famously described as a "licence to print money." Sky is a massive, well-run, tough fighter. The Murdoch DNA that still runs through its body - despite the fact that James has been packed off in disgrace to the US - sees to that. At Talk Talk which dares to trifle with Sky in telephony they refer to the Osterley park giant as The Death Star. So BT is entering the battle with an aggressive offer that will give free sports including some Premiership football to those who sign up for its Infinity broadband offer. Sky will be roused to action. It was no coincidence that I received an email last night reminding me how brilliant my HD package is and offering some new extras for the sixty five odd quid I fork out each month. BT’s move is not naked, acquisitive aggression, though. BT CEO Ian Livingston hardly sees himself as the 21st century’s answer to Lew Grade. (Or, at least, one hopes he doesn’t.) The move is largely defensive because Sky has been feeding on BT’s broadband patch for six years now. BT has now lost around half its home telephony customers and cannot allow this to continue especially as it has been cajoled by the government - as the legacy outfit that still has the exchanges and the copper in the ground - to invest around £2.5 billion in its high speed broadband network. It’s going to be an ugly fight and the rumblings of a price war have scared the bejeesus out of investors: Sky’s shares plummeted more than six per cent yesterday. BT is to be commended for attempting to get our pathetically slow broadband speeds up to something that makes UK plc fit for business in the digital universe. I spent last weekend in rural Cheshire with my in laws and I would have received information more quickly if it has been transmitted by smoke signal or a William Boot "Scoop"- style cleft stick. But this market is highly unsatisfactory and filled with perversity. It’s a cute irony that yesterday a bandwidth hungry outfit like YouTube announced its latest wheeze – paid for channels, no doubt filled with kittens and toddlers doing cute things. YouTube contributes a miserable total of £6 million in corporation tax to HMG via its parent Google. It offers precisely zilch to the vital network infrastructure which it milks for increased profits which end up hidden in tax havens. If the consummately useless SW Trains, which I have the misfortune to use each day, demanded to ply their trade for nothing on the rails and into the stations the government would have a thing or two to say about that. So why do they keep silent about broadband? BSkyB, incidentally, has claimed that it contributes a total of £5.4bn to the UK's GDP via taxation and BT in 2012 paid £3.254 billion in tax in the UK .